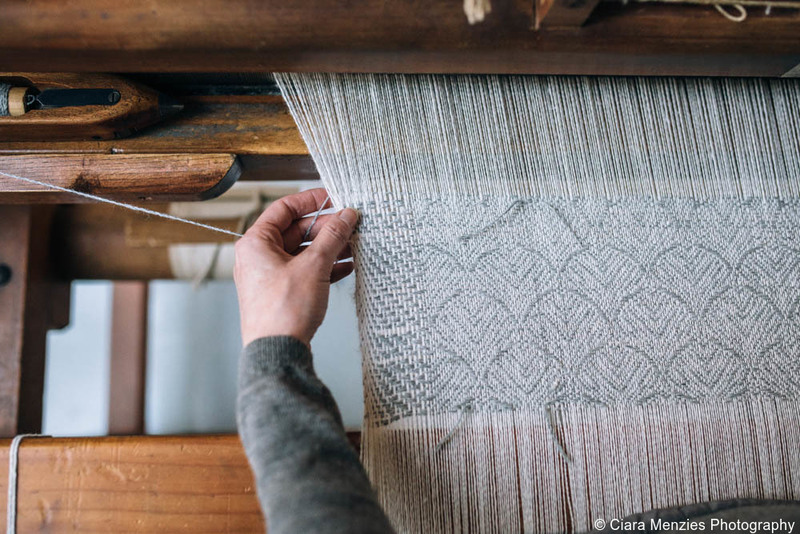 A: I’m an artist, designer, weaver and founder of Araminta Campbell. 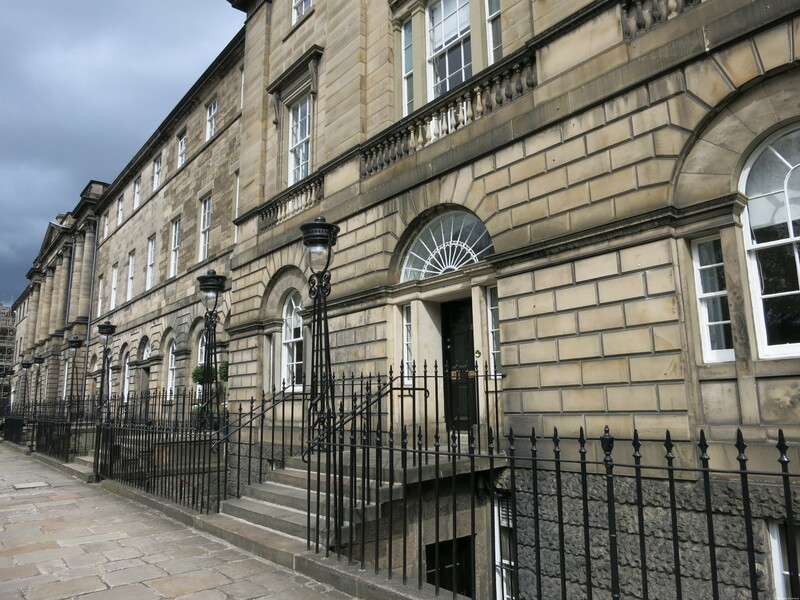 I am based in Edinburgh but originally from the North East of Scotland. I trained as an embroidery artist and have a degree in fine art textiles. I’d always had a passion for textiles, nature and the outdoors, I grew up in the countryside and that’s where the inspiration for my designs comes from. 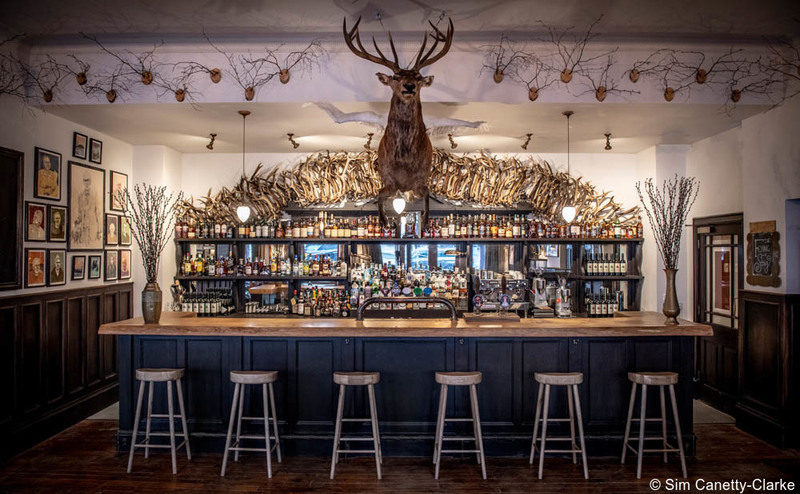 Q: You recently worked with the newly reopened Fife Arms, a luxury hotel in Braemar. The hotel has beautiful interiors—it must have been an incredible honor to collaborate with them. Tell us more! 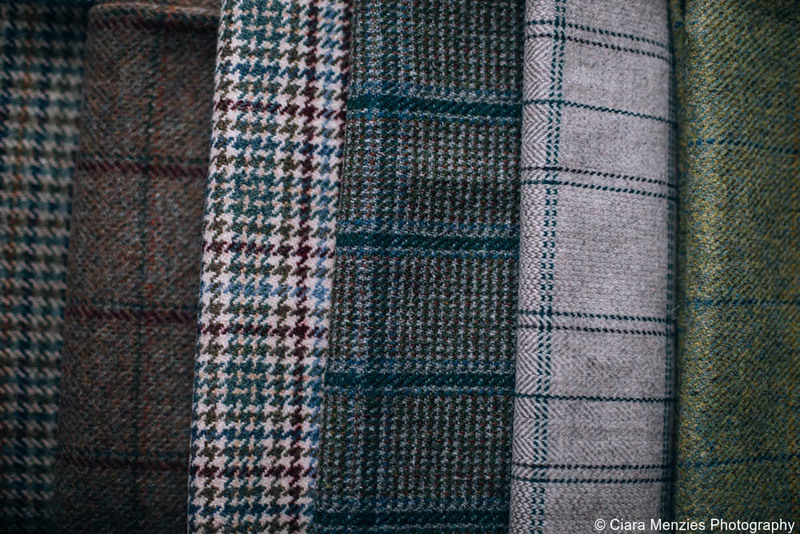 A: I was commissioned to create a custom tweed and tartan for the refurbishment of The Fife Arms. 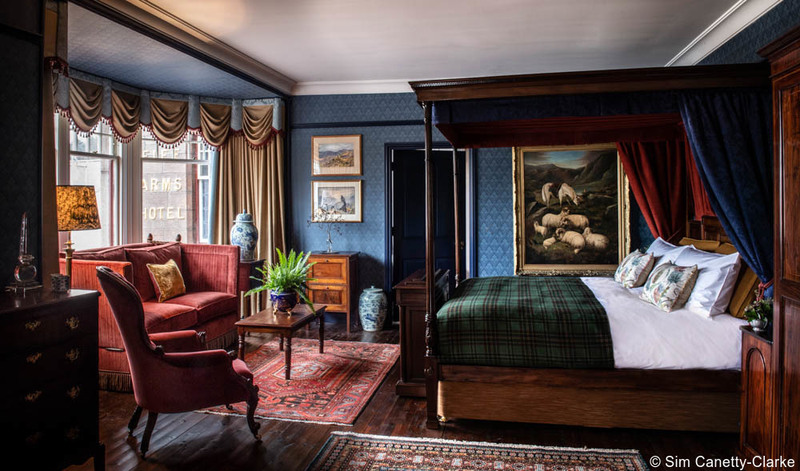 Both the tweed and tartan have been used extensively throughout the hotel in the interiors, uniforms, products in the shop and even the Land Rover! It was an amazing project to be part of, the owners Iwan and Manuella of Hauser and Wirth had such an incredible vision of what the hotel could become and brought together both local and international artists and craftspeople to bring their ideas to life. The results are amazing, and it was such an honor to be invited to attend the official opening in January and meet Prince Charles and Camilla. Q: What is your style philosophy? A. Timeless and classic. I always look for timeless, quality pieces that transcend fashion, I invest in investment staples and really love finding unique things, pieces that you won’t see elsewhere. I love grey too, it is just so understated and chic. 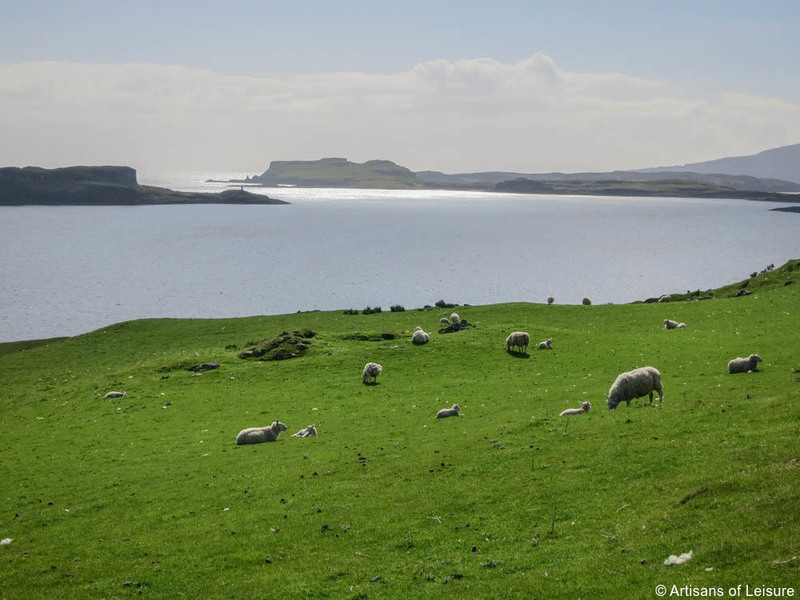 A: My greatest source of inspiration is the Scottish landscape. I am at my happiest when I am out for a walk in the hills or woods, and this love of the natural world translates into everything I do. A design will often spring from a specific natural detail or motif I have noticed, whether that is the delicate structure of a feather, or the reflection of autumn leaves in the river. My Scottish heritage also informs my work – textiles have been created here for thousands of years so there is such a wealth of history and expertise for me to draw from. Q: Tell us about the weaving process. 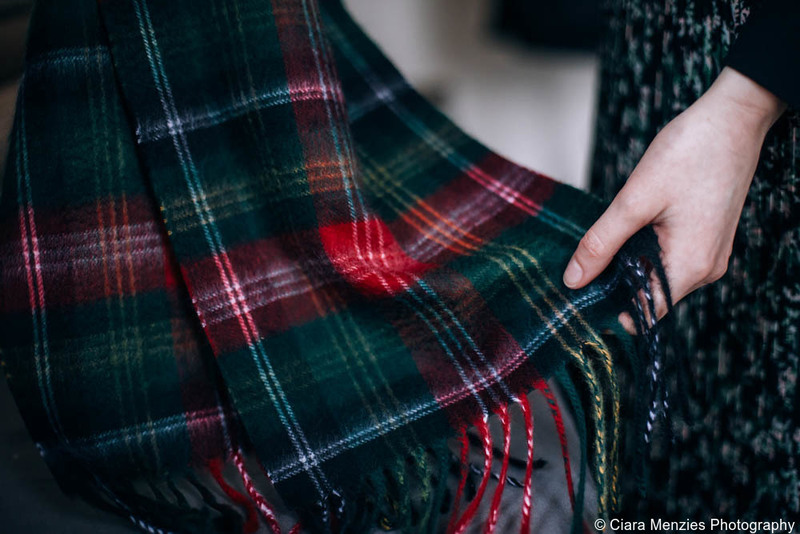 A: All of our textiles are made here in Scotland, using traditional skills and craftsmanship. 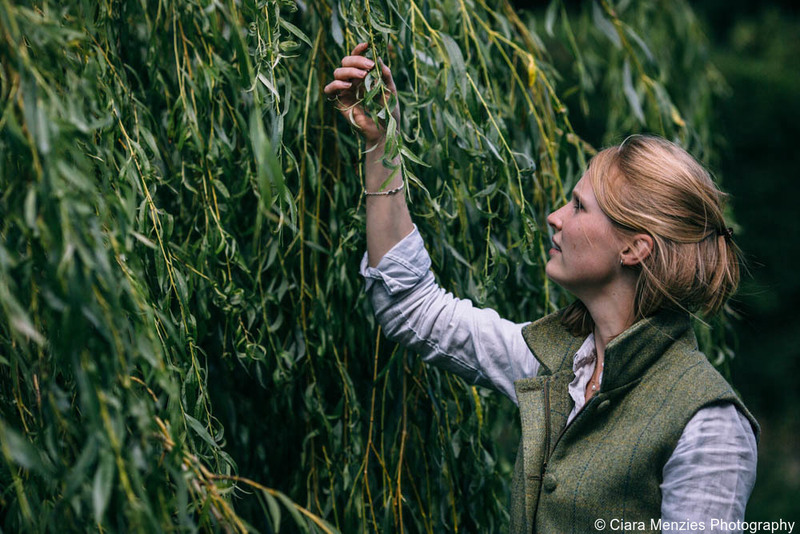 As well as designing and hand-weaving all of our Signature pieces in our studio and workshop, we also partner with hand-picked weaving mills across Scotland for our MINTA collection and bespoke tweed and tartan projects. Some of the looms and tools involved are modern whilst others date back well over a century so it’s a privilege to help sustain historical Scottish crafts and businesses. Selecting the finest quality fibers is vital, the weaving process demands this. 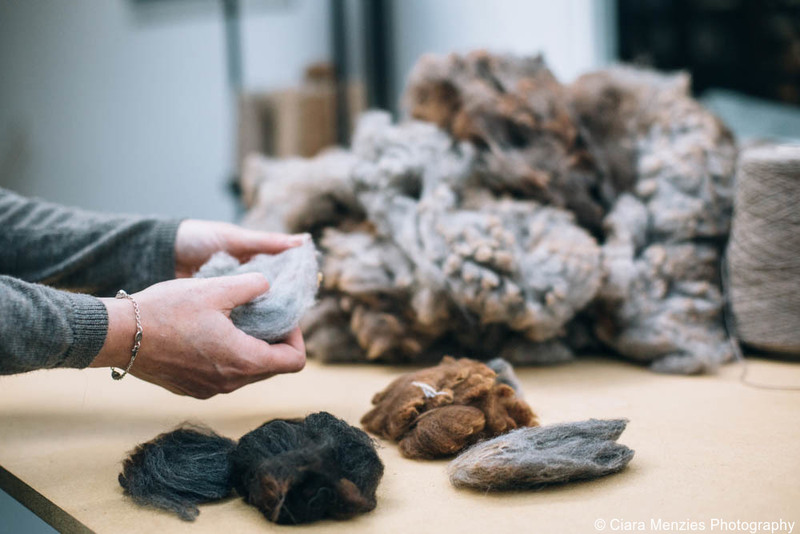 We source all of our British alpaca fleeces direct from farms and breeders in Scotland and England before they go through bespoke spun process in their natural colors. Weaving is not a quick process, you can’t cut corners whether it’s done by hand or on a Victorian power loom – it requires lots of preparation, patience and attention to detail. There’s also a lengthy finishing process but I can honestly say that there’s nothing more satisfying than seeing all that hard work pay off in the form of a design that’s come to life in a beautiful cloth that has both an authentic story and provenance. Q: Tell us about your different collections. A: Our textiles studio specializes in one-off luxurious British alpaca accessories, handwoven here in our Edinburgh workshop. Our MINTA collection is a contemporary designer interiors range of cushions and throws. Signature is a curated collection of scarves, shawls and blanket wraps. 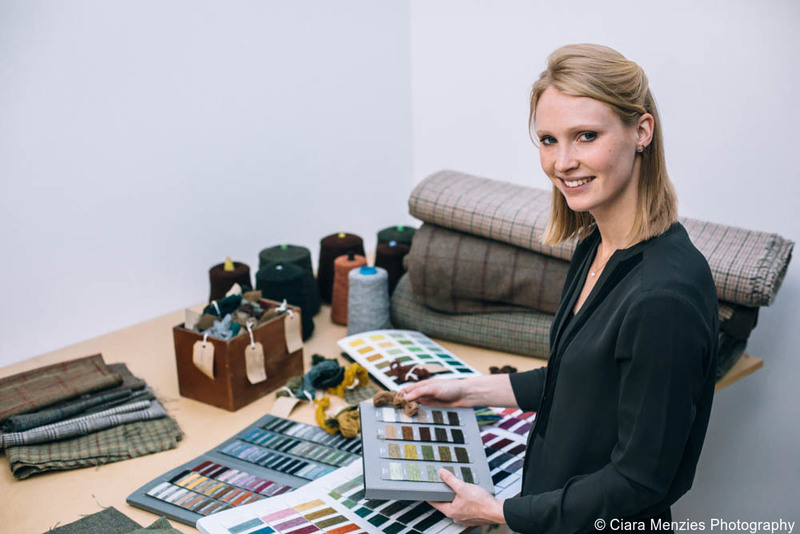 Heritage is a bespoke tweed and tartan service, which allows our clients to create entirely unique designs for interiors, clothing, accessories and so on. Q: What is the process for collaborating with a client on a bespoke piece? A: The process for a bespoke tweed or tartan commission is very much tailored to the client. I’ll first hear from them what their ideas are and how they would like to use their finished cloth. Then I will present a series of printed designs using their inspiration and ideas for them to give me feedback on. We progress with further developed designs until they have a design they are really happy with. Then I will work with our yarn suppliers and partner Scottish mills to produce their cloth or accessories and ensure that their design is truthfully recreated and manufactured to the highest quality here in Scotland. Q: What are some examples of private, bespoke pieces you create for clients? A: A recent bespoke project was for an American client and his family. They wanted a bespoke tartan created and I designed one that evoked their family history in the checks and stripes of the design. 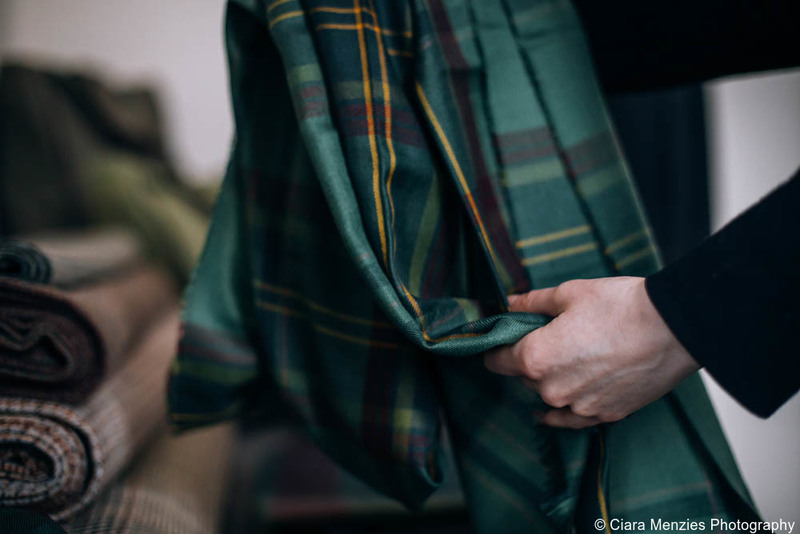 This tartan was produced in cloth for tailoring and bespoke cashmere scarves that the extended family all received as Christmas presents. However, several months after the project was complete, the family phoned to say they had unearthed a very old tweed blanket from the 1940s, and the design almost exactly matched the reworked design I had just produced for them! It was great to know that my instincts had been right, and I had managed to restore the Glen Tanar Tweed to its former glory. Q: Do you have an especially memorable bespoke commission? A: One of my most memorable commissions was for The Glen Tanar Estate in Royal Deeside. The Bruce family commissioned me to redesign and manufacture the historic Glen Tanar Estate Tweed after years of contemporary reproductions had caused the pattern to move further and further away from the original Tweed. There were no examples of the original 1940s design, so I looked at the colors of the landscape to recreate a tweed that was more authentic to its surroundings. Q: What are some challenges of the design and production process? 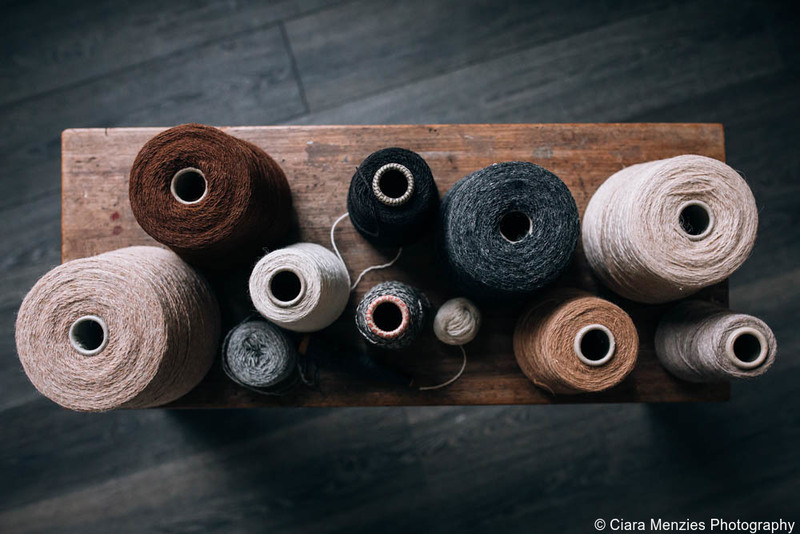 A: Sourcing the best yarns for weaving isn’t always straightforward. For our Signature and Minta lines we source British alpaca fleeces direct from farms around the UK. These need to be spun before they can be woven, and the shearing of the alpacas only happens once a year, so we really have to plan ahead! 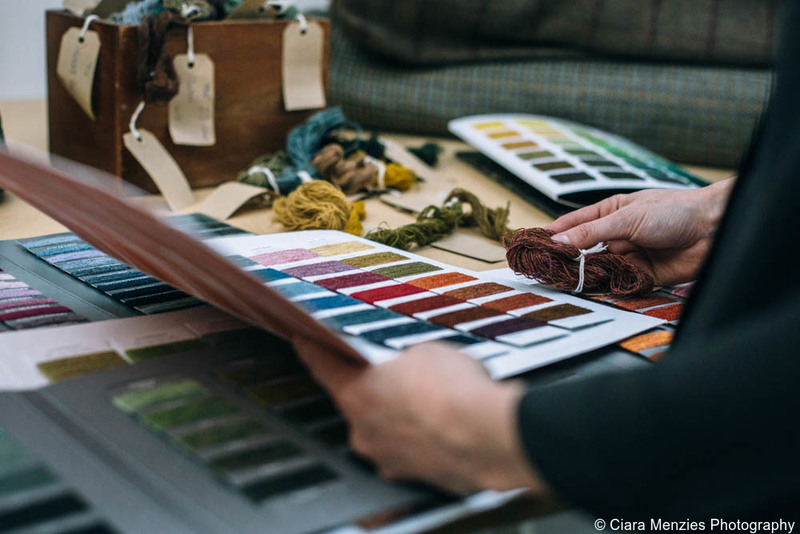 For our custom tweeds and tartans, we use a number of different British wool suppliers, but sometimes to get the right color we need to look at having a yarn bespoke dyed or twisted, which can take quite a bit of time. Once we have the right yarns we can get started on the weaving – either here in our studio or with one of our Scottish partner mills – and then the woven the cloth has to be washed and finished to the right standard. We find that many people don’t appreciate how long it can take to produce traditional woven cloth in this way and expect a bespoke cloth to be ready in a week or two. But once we explain the different stages are involved – many involving traditional equipment that is very old – it begins to make sense. After all, they do say that good things take time, and for us the priority is to produce something of exceptional quality and integrity. Q: What are some of your most treasured pieces? A: Our Signature handwoven Blanket wrap is one of my favorites. It is currently the largest wearable item in our handwoven collection, and it definitely makes a statement. It’s hugely versatile, can be worn on its own as a coat, over the top of a light jacket for extra warmth, for formal wear or to just snuggle up on the sofa. Looks and feels incredible! Q: Who are the majority of your clients? A: We work with a variety of customers for our bespoke tweed and tartan service, from hotels and interior designers to Savile Row tailors and Country Estates, as well as private individuals looking for a special tweed or tartan they can share with their family. They actually come from all over the world, but I think the thing they all have in common is their appreciation for items that are unique, handcrafted works of art. Q: Who are some of your favorite designers, in the fashion or design world? A: I have never really been particularly influenced by the world of fashion, but I have always admired Coco Chanel – her impeccable style was elegant yet practical, and she was incredibly inventive with Scottish tweed! My favorite contemporary designer would be Stella McCartney. Her style is cool and classic, and I have such admiration for the way she has raised the bar for ethical luxury fashion. Q: Take us through the experience of a private visit to your studio. A: I always wanted my creations to remain connected to the creative process and the hands of the maker. So much of what people buy has lost its story – no one knows where an item was made, or who made it. 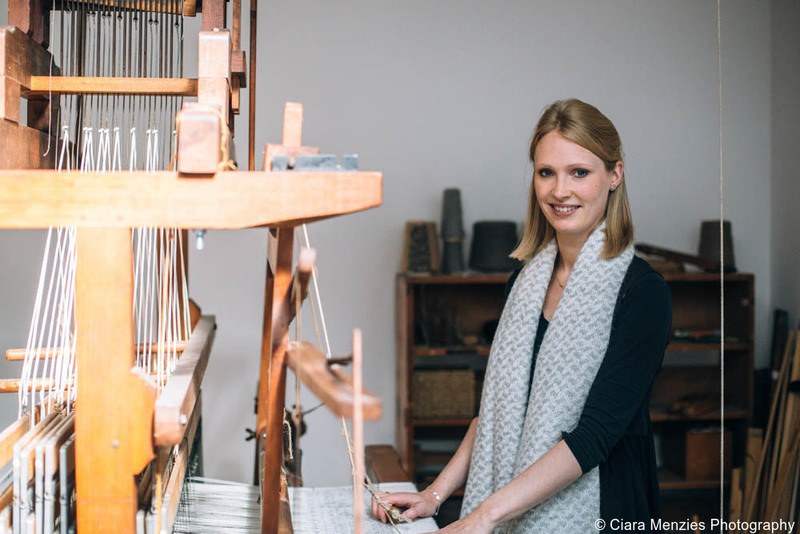 During a visit to our studio, we can show people the weaving process, describe the inspiration behind a design and introduce them to the people behind the products. It is a rare thing to be able to see in this day and age, and it means clients can appreciate the care and craftsmanship going into a piece as well as getting a unique insight into Scotland’s weaving heritage. 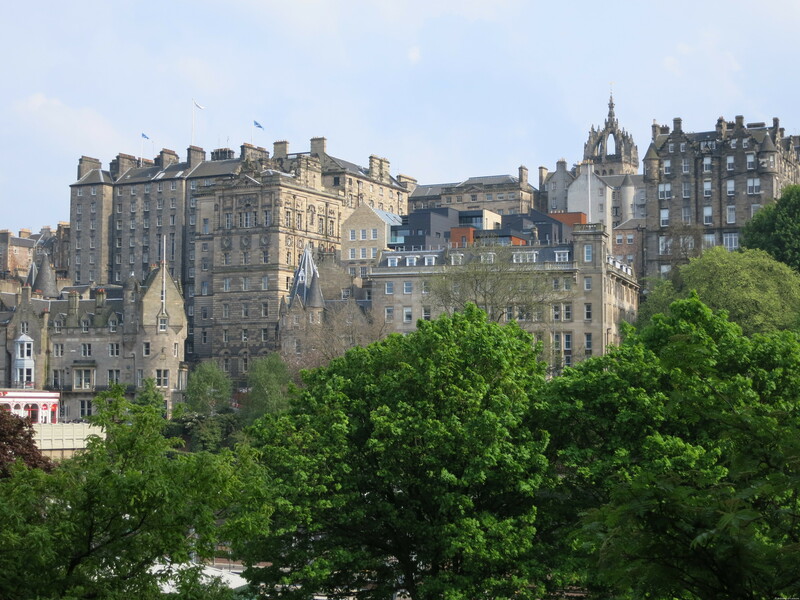 Q: Where are some of your favorite places to visit in Scotland? 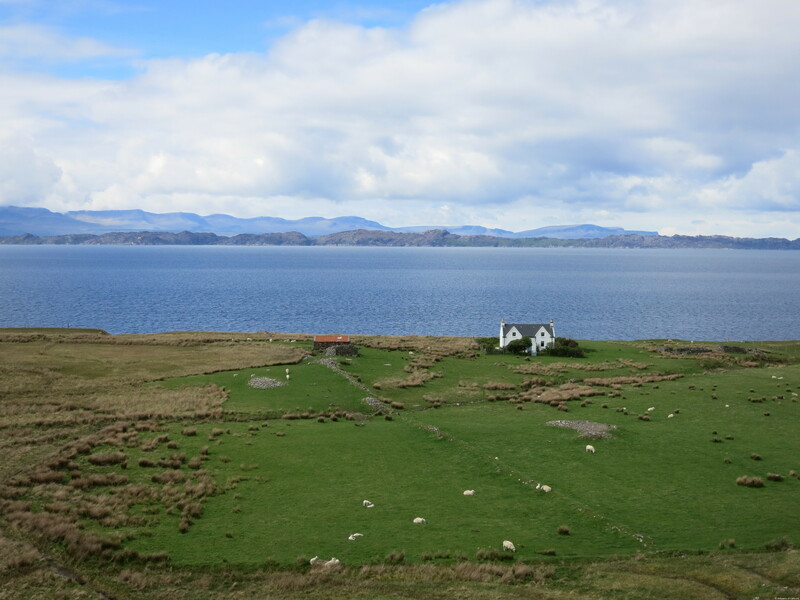 A: Many of my childhood holidays were spent one the Isle of Mull on the west coast of Scotland. It is so beautiful and the pace of life really does slow down. Two years ago, my husband proposed to me on Ardanalish Bay on Mull, so it will always remain as a place that is very special to me. Upon request, Artisans of Leisure can incorporate a private visit to the Araminta Campbell studio into any of our private tours in Scotland. Contact us to begin planning a customized private tour.